Are you looking for a way to make your project unique? 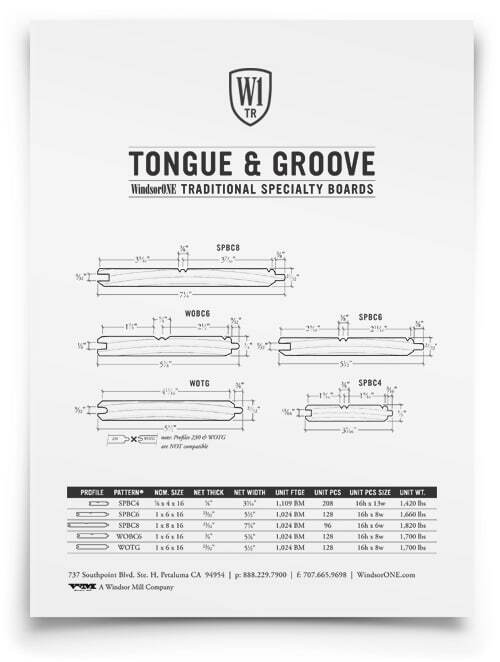 WindsorONE Tongue & Groove Boards are perfect for when you really want people to stop and take notice. Whether you want a beadboard ceiling or add wainscoting to your rooms, WindsorONE Tongue & Groove Boards always highlight your work. BELOW ARE TRADITIONAL BOARDS. 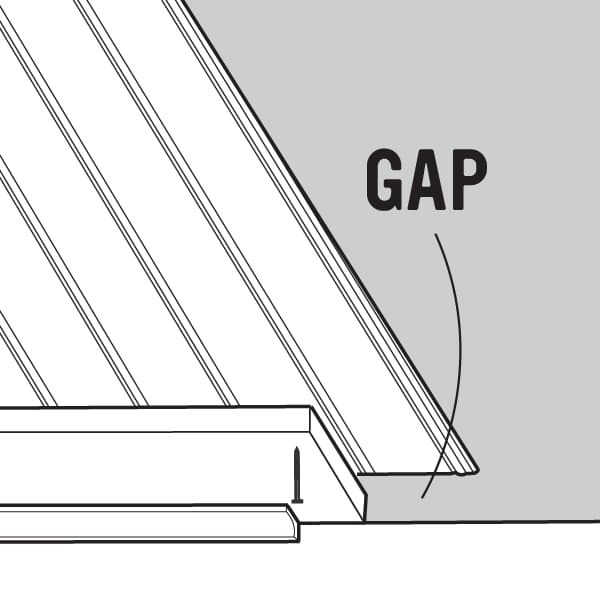 LOOKING FOR PROTECTED TONGUE & GROOVE BOARDS WITH A 30-YEAR WARRANTY? CLICK HERE. 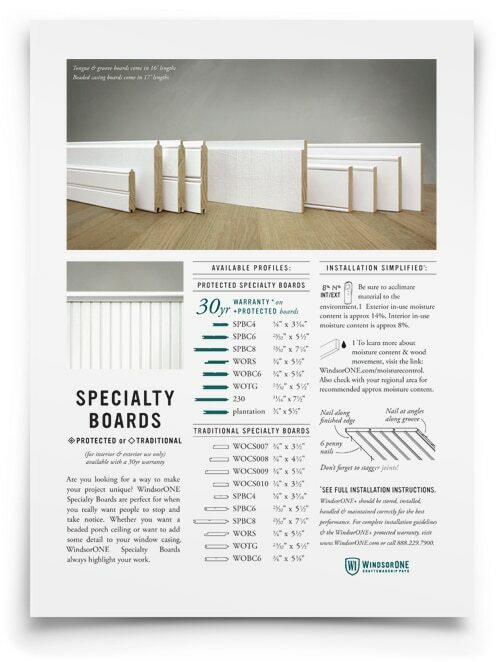 Detailed dimensioned drawings of specialty profiles. An overview of specialty boards. 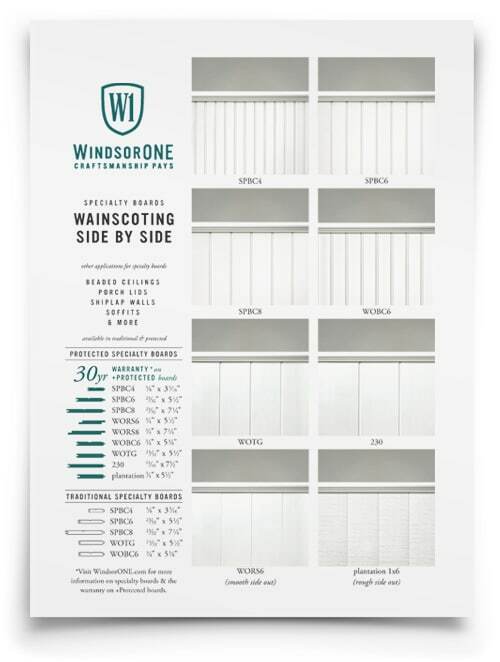 Side by side comparison of wainscoting options. 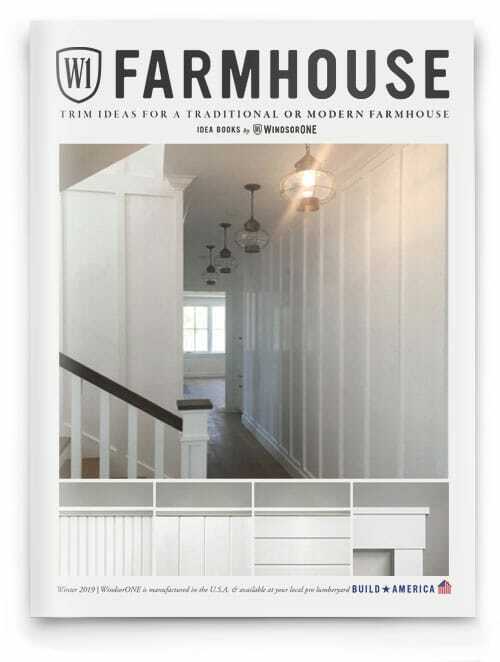 Filled with both Modern & Traditional Farmhouse ideas. 1. Nail along finished edge. 2. Nail at angles along groove. 3. 6 penny nails. Read more on fastening tongue & groove here. Exterior in-use moisture content is approx. 14%. Interior in-use moisture content is approx. 8%. Read more here. 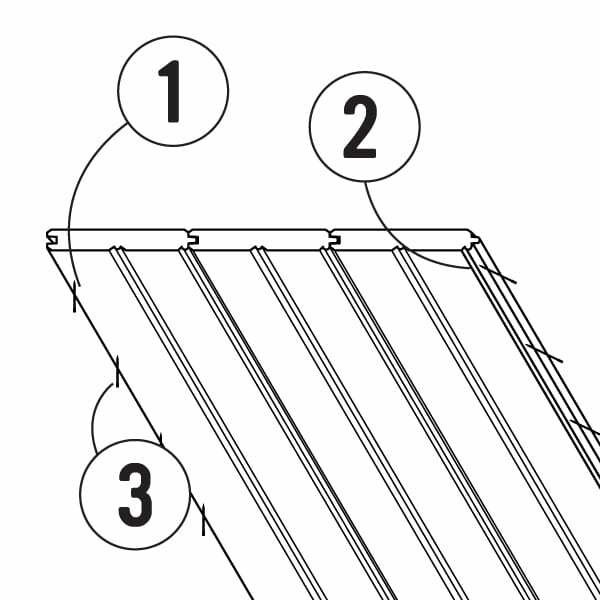 Be sure to allow space for expansion & contraction. 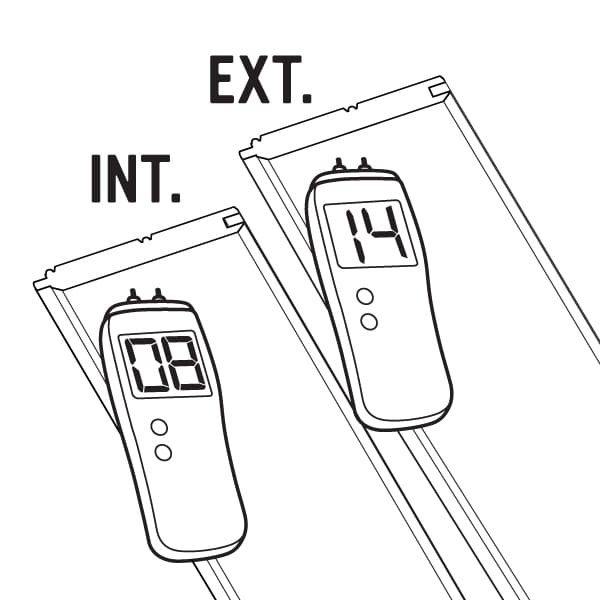 Read more on moisture content & wood movement here.